Pregnant Sudanese woman who married a Christian man sentenced to death for refusing to recant her Christian faith. A pregnant Sudanese woman who married a Christian man was sentenced to death Thursday for refusing to recant her Christian faith, her lawyer said, according to The Associated Press (AP). Meriam Ibrahim, whose father was Muslim but mother was an Orthodox Christian from Ethiopia, was convicted of "apostasy" on Sunday and given four days to repent and escape death, lawyer Al-Shareef Ali al-Shareef Mohammed said. Ibrahim, who is eight months pregnant, was given the death sentence after that grace period expired, Mohammed said, according to AP. Amnesty International condemned the sentence, calling it "abhorrent." Mohammed called the conviction rushed and legally flawed since the judge refused to hear key defense witnesses and ignored constitutional provisions on freedom of worship and equality among citizens. Ibrahim and Wani married in a formal church ceremony in 2011 and have a son, 18-month-old Martin, who is with her in jail. The couple runs a farm south of Khartoum, according to the report. Conversion by Muslims into other religions is criminal in Sudan's penal code and punishable by death. Muslim women in Sudan are prohibited from marrying non-Muslims, though Muslim men can marry outside their faith. By law, children must follow their father's religion. 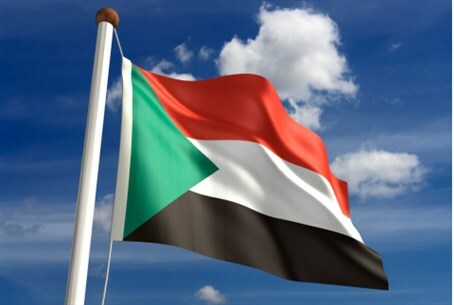 Sudan introduced Islamic Sharia laws in the early 1980s under the rule of Jaafar Nimeiri, a move that contributed to the resumption of an insurgency in the mostly animist and Christian south of Sudan. Sudanese President Omar Bashir, an Islamist who seized power in a 1989 military coup, has said his country will implement Islam more strictly now that the non-Muslim south has turned into a country of its own. "The judge has exceeded his mandate when he ruled that Meriam's marriage was void because her husband was out of her faith," Mohammed told The Associated Press. "He was thinking more of Islamic Sharia laws than of the country's laws and its constitution," added the lawyer.